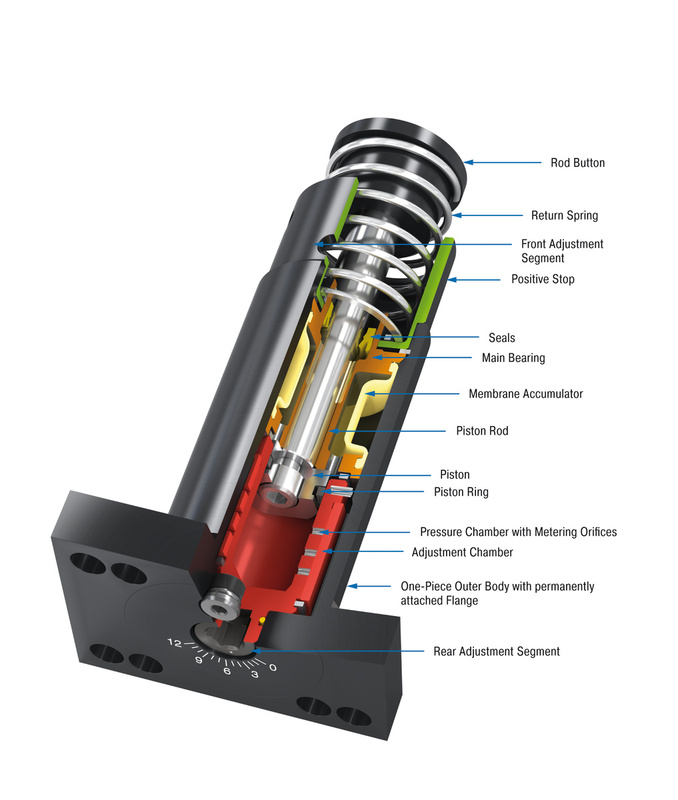 SALDN3/4 - Industrial Shock Absorbers - Automation Control - Products - ACE Controls Inc.
SALDN industrial shock absorbers offer high performance levels and a long service life, even in the most difficult environments. 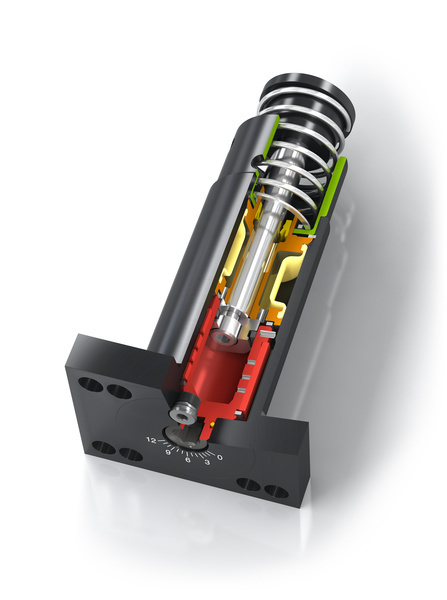 These shock absorbers feature an integrated positive stop and are designed to handle effective weights from 3,450 to 10,350 in-lbs. per cycle. High energy absorption in a compact design and a wide damping range lead to huge advantages in practice. Alongside generally more compact designs, these small yet very powerful shock absorbers enable full use of the machine’s performance. ACE recommends selecting a model with 20 % more capacity than your calculations indicate necessary. This extra capacity allows for changes in weight, velocity or cycle rates increase in the future. Special oils, nickel-plated, increased corrosion protection, mounting inside air cylinders, additional impact velocity ranges or other special options are available on request.